The SnapSafe drop box keypad Vault is a must have for those who want to keep their handgun close-by, secure, and ready to drop into action. 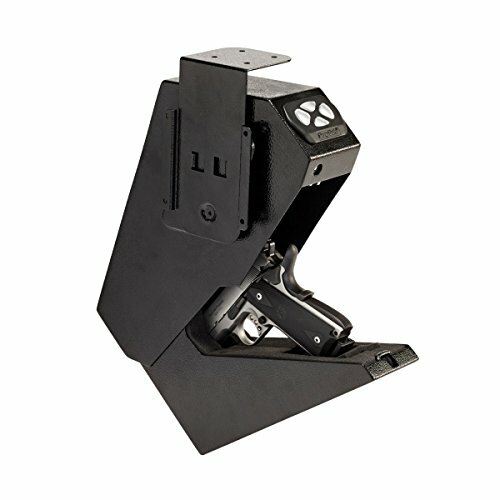 This compact Vault mounts under a counter, desk, or on the side of a nightstand for quick access to a handgun. A Programmable 4 to 6 digit keypad code provides optimum security and quick access. It features a fast action, tamper resistant drop-down door. There is also a protective foam liner that safeguards the handgun from scrapes and scratches. The mounting bracket allows left or right Orientation and is easy to install. If you have any questions about this product by SnapSafe, contact us by completing and submitting the form below. If you are looking for a specif part number, please include it with your message.